The old hoses were during sometime in history also exchanged to individual hoses and some were very old and brittle. 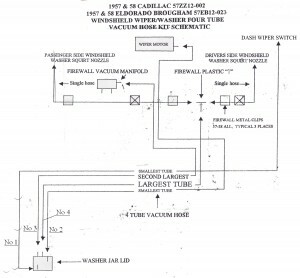 Luckily I found a kit by my local Classic Cadillac parts dealer KS Import that consists of a four tube kit (see pictures below). Perfect ! To change this vacuum hoses you need to be careful to connect the right hose to the right nozzle on the washer jar lid. 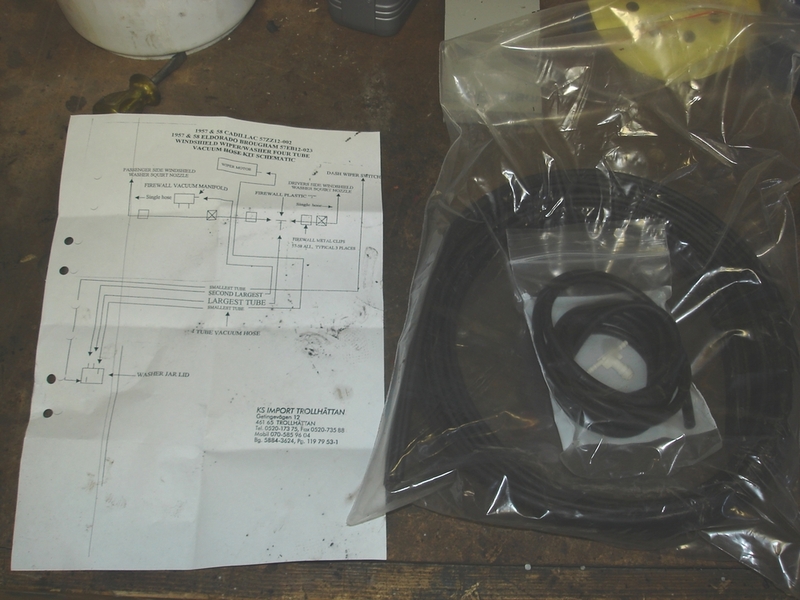 The kit includes a schematic that in theory shows how to connect the hoses. The only thing left is to remember which nozzle connects to what. 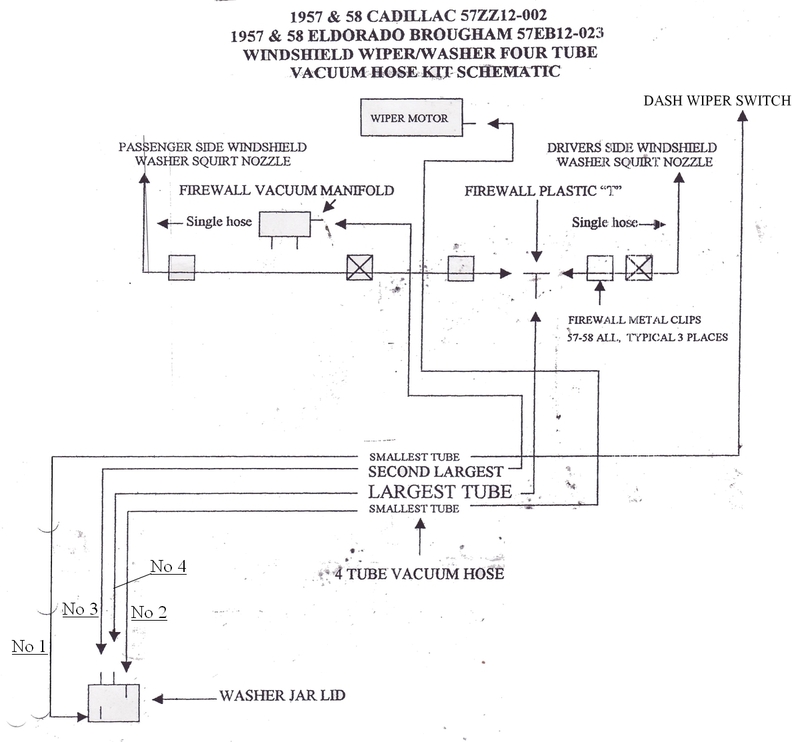 First I marked up all the old hoses that was connected to the washer jar lid, as my washer and wiper actually worked as connected. Then the tricky work started by removing and installing the no1 hose that runs from the dash wiper switch. It is a very narrow space to reach inside of the left fender and feed it to the rubber booth in the firewall and then route the hose along the left dash side to the switch. 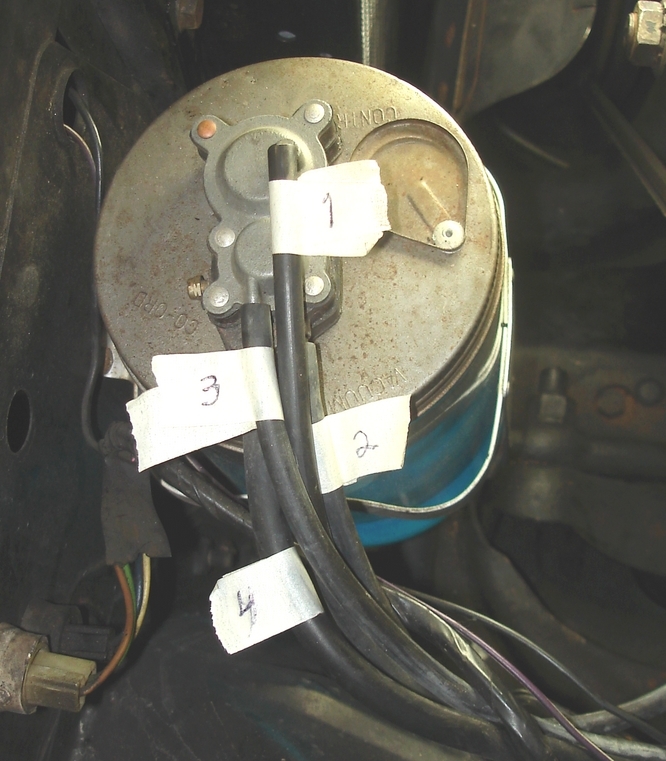 I tried to tie a cord to the old hose to have as help when rerouting the new one, but of course this cord came loose, and I had to reach behind the instrument cluster (after removing it, 1 hour extra labour) to get hold of the hose and then route it to the switch. After that it was a piece of cake to install and cut the rest of the hoses to its right connection. After a brief test in the garage it seems to work also. Nice !